I love to read. Despite 4 kids 5 and under, a busy house, and classes to teach, I find time most everyday to read. After my kids are in bed, I enter my relaxing nightly self care routine that includes reading. It feeds my soul. In the last year, I read dozens of books ranging from science to fiction, history to self help. Of those books, here are my absolute favorite books that I’ve read from the last year. If you pick this up, prepare to not do anything until you’re done reading. You aren’t going to want to put it down. Tired of all the non-fiction books I’d been reading, I picked this up one evening and figured I’d read if for a few minutes to relax and unwind. I finally slipped into bed at 4:00am after finising the book. I cried. I laughed. It was a great read..
Once you start this murder-mystery, you will want to devour the entire thing. Spooky and undeniably clever, this book is a serious page turner. The plot: Ten strangers all arrive at a mansion on a remote island. One by one, they start to drop off with no one able to leave the island. Oh my gosh, it’s soooo good! I’ve been on a major Agatha Christie kick since reading this book. She is indeed the master of mystery. If you’ve never heard of her, Angela Duckworth is definitely someone you want to check out. This book is a fascinating look at grit, the power to succeed and overcome obstacles. She delves into fascinating (and motivating) examples of resiliency and perseverance and unlocks the keys to obtain those qualities. Not only did it inspire me to be more gritty and resilient, it’s helped me focus on how I can help my children develop the trait. I’ll definitely need several more reads! Want to change your mornings? Then check out this extremely motivating book. This book literally changed my life. Though it’s not without its flaws (he really needs to cite his sources and use footnotes), it motivated me to start waking up and exercising at 4:00am. 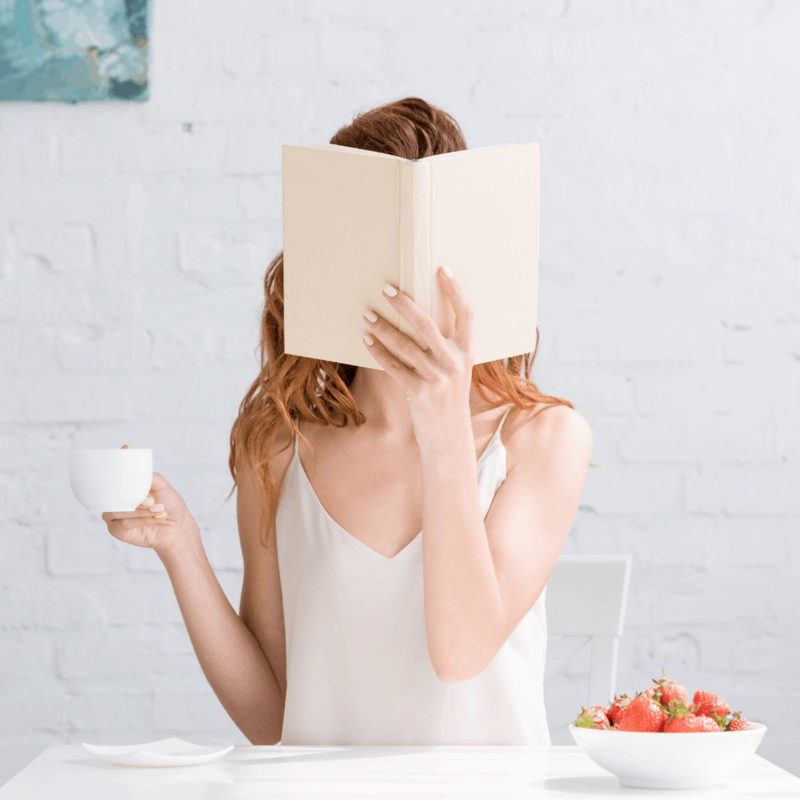 This book was a major paradigm shift for me not only in completely changing my mornings, but it was very instrumental in helping me get the courage and determination to start this blog. Definitely a super motivating book. Gretchen Rubin has made it to 2 places on my list. I simply adore her and her podcast too. Former Supreme Court clerk turned researcher and writer, Rubin is obsessed with happiness. This book is her exploration into her year-long “happiness project” where she, using research as her guide, actively set out to increase her happiness. It’s so inspiring and will surely leave you with many ideas about how you can be happier. This is a book that will completely change how you see yourself and other people. My book club cannot staop talking about it..
After exhaustive research, Rubin created a personality framework based on how people respond to both inner and outer expectations. People fall into 4 categories: Upholders (that’s me), Questioners, Obligers, and Rebels. Take the quiz and tell me what you are. It is sooooo fascinating. And it’s extremely helpful for understanding ourselves and the people around us. I found this quick read to be downright delightful. While some die-hard Potter fans find fault with various parts of this, I loved it. It’s a playscript and not a novel, so it reads differently. But once you get into it and can envision it on the stage, it is transporting and very engaging. It picks up the story when Harry Potter’s own children are at Hogwarts. I loved every second of it and hope to see it on stage one day. I thought it was a perfect addition to the Harry Potter series. YOU DESERVE A GREAT BOOK. You work hard and deserve to immerse yourself in a fantastic book. Go to your local library or Amazon and get yourself one of these awesome books to read.